Republican Spanish State of the Union response: Immigration made the cut, unlike in English. Republican representative Carlos Curbelo of Miami delivered Spanish-language remarks about President Obama’s State of the Union address Tuesday in what the GOP had earlier said would be a translation of Iowa senator Joni Ernst’s official response. But when the party’s statement of vision was given in Spanish, there was a notable addition: Curbelo’s speech, as translated in a video clip by the Democratic group American Bridge, stressed that Republicans were eager to work with President Obama on the subject of immigration. 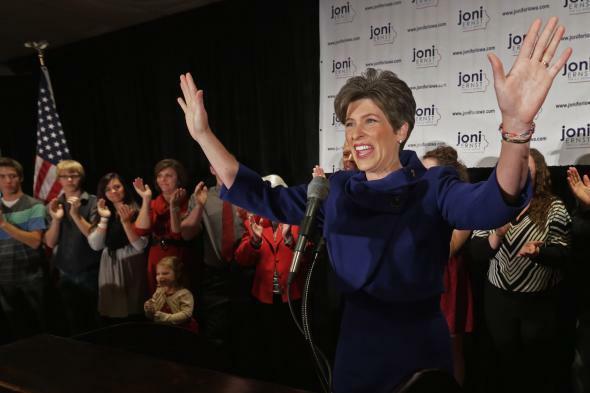 Ernst’s speech didn’t mention immigration at all. We should also work through the appropriate channels to create permanent solutions for our immigration system, to secure our borders, modernize legal immigration, and strengthen our economy. In the past, the president has expressed support for ideas like these. Now we ask him to cooperate with us to get it done. The Latin Post reports that—at some time after the announcement of Curbelo’s speech and before Tuesday afternoon—GOP.gov removed the word “translated” from its description of Curbelo’s remarks. Per the Washington Post, Curbelo said that he revised the translation of Ernst’s speech to add the reference to immigration and got “no pushback” when he submitted his changes for review by Republican leadership.